Bipolar disorder is a brain disorder that causes extreme shifts in energy, activity levels, mood and the ability to carry out day-to-day tasks. Symptoms are much more severe than the normal ups and downs that everyone goes through from time to time. Estimates of the prevalence of bipolar disorder suggest that approximately 1.0% of the general population meet lifetime criteria for Bipolar I disorder (BP-I); a rate that is consistent across developed nations (1). 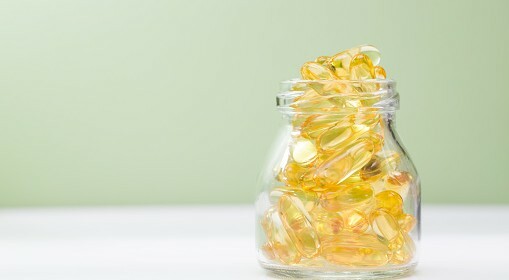 As with other psychological health issues, such as anxiety and depression, omega-3 fatty acid intake is linked to lower risk of developing bipolar. A US review study looked at epidemiological studies from 17 countries and found greater rates of seafood consumption (omega-3 fatty acids) were associated with lower lifetime prevalence for bipolar I, bipolar II, and bipolar spectrum disorders (2). Clinical trials designed to prove these observations are also promising. In a small study of 12 bipolar outpatients with depressive symptoms, treatment with 1.5–2 g/day of Eicosapentaneoic acid (a form of omega-3 fatty acid) achieved a 50% or greater reduction in Hamilton Rating Scale for Depression scores within 1 month. Additionally, no patients developing manic symptoms or side-effects with treatment (3). According to experts in this area of research, Omega-3 fatty acids have a range of neurobiological activities in modulation of neurotransmitters, anti-inflammation, anti-oxidation and neuroplasticity (4). It’s these mechanisms by which increased omega-3 intake could contribute these beneficial psychotropic effects. If you have or know someone with bipolar, we can help by taking a functional neurology approach- a complementary non-drug approach towards management (that’s not to say drugs don’t have their place).